Find London estate agents and letting agents contact details. London letting agents for students accommodation. Private landlords in London, ranging from shared student houses and flats and more. Wayne Walker Property Consultants Ltd.
WWPC are an established sales, lettings, management and investment agent for Bournemouth, Poole and London. Buying property, Selling property, Rentals. – Sales and Lettings Commercial Properties. Phone : 020 7794 0075 (Residential), 020 7794 7788 (Commercial). – specialized in whole properties, studio flat, flat-share, villas, Apartments (Luxury). Covers East London, Docklands and Shoreditch. SpareRoom is the UK’s #1 flat and house share website. – Flatshare – Spare room & Rooms to rent. Free membership and 100% free to sign up. Find FlatMates in London. London flatshare, Whole flats or houses to rent. London’s popular quality flatshare site for flat share property and accommodation rental in London. BizDirUK lets you search for a variety of student accommodation companies and private landlords in London, ranging from shared student houses and flats, through to bedsits, studios and lodgings. 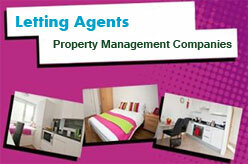 Student Housing Agents London. – Helping international students find their perfect home abroad with over 700,000 beds across 350 cities woldwide. – one of the UK’s largest providers of student accommodation, working with over 30 university partners in 17 cities. Aberdeen, Bedford, Birmingham, Cardiff, Coventry, Glasgow, Leeds, Leicester, Liverpool, London, Manchester, Medway, Newcastle, Preston, Sheffield, Southampton and Stoke-on-Trent. Student accommodation search engine in the UK. Find student accomodation, student houses, student flats, student pads and private student halls in the UK. – provide a home for over 46,000 students in 132 purpose built properties across 28 of the UK’s strongest university towns and cities including London, Bristol, Manchester and Sheffield. – a student accommodation service online. Rooms for Rent and Flatmates across the UK. Offer student accommodation in London, Edinburgh, Liverpool, Southampton, Cardiff, Bristol and Madrid. Therese House’s student accommodation In London is purpose built, modern, well-equipped and centrally located. Student rooms in London, Newcastle, Nottingham and Lincoln. Updated : 11th June, 2017.